THE Joint Trade Union Movement (JTUM) together with the Movement for Social Justice (MSJ) and the Emancipation Support Committee (ESC) have pointed out that any attempt to interfere in the internal electoral process in Venezuela, could destabilise the entire Caricom region. 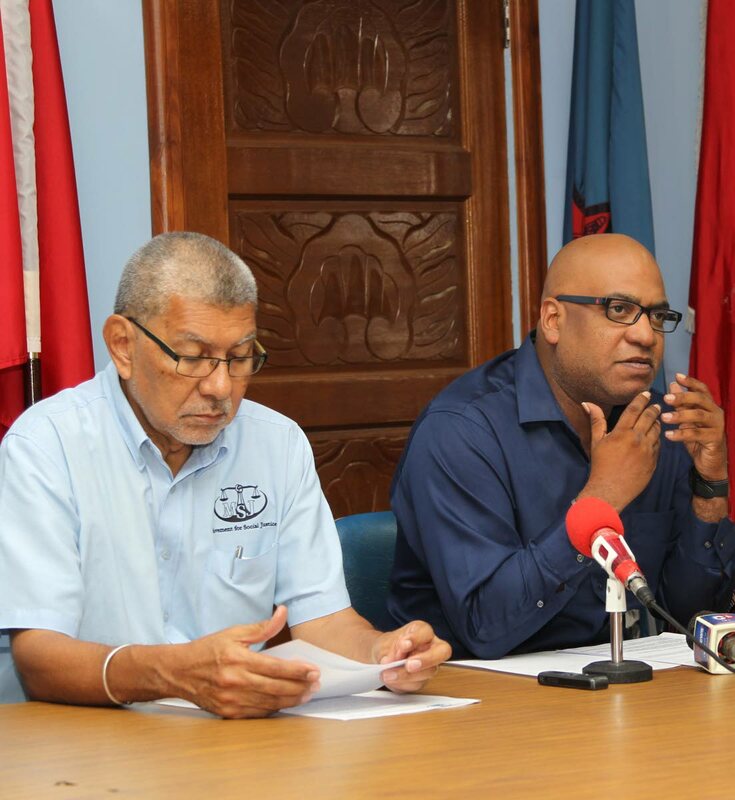 Addressing a media conference at the OWTU’s Paramount Building headquarters in San Fernando yesterday, an impassioned Khafra Kambon said refugees from Venezuela could flood Trinidad and Tobago if military intervention is allowed to take place in Venezuela. “The face of our region can change overnight in a way that would be very dastardly for all of us who live in this region,” Kambon said. “I want to appeal to the public to recognise what it would mean if you had the destabilisation in Venezuela that has taken place in all these areas that the United States has gone to bring democracy, and is in the process of bringing democracy - Syria, Libya, Iraq, Afghanistan and everywhere they have brought democracy so far, we are seeing displacement and degradation and we would not want to have that on our borders,” he said. “It is also going to affect a flood of refugees coming to Trinidad and Tobago, it is really going to change things substantially for us as well.” In full agreement was JTUM general secretary Ozzi Warwick who said any attempt to destabilise Venezuela would ultimately destabilise the entire region including Trinidad and Tobago which is approximately seven miles from the Venezuelan mainland. He said dialogue and not the use of military force was needed if Venezuela was to extricate itself from its present economic crisis. “We are calling for the peace and stability and for the non-interference into the political process in Venezuela and to allow the people of Venezuela to determine their own destiny. Presidential elections in Venezuela has been announced, it will be May 20 and in all of the elections thus far all of the necessary authorities have always confirmed that these elections have been free and fair,” he said. Warwick observed that he was an observer in the 2015 parliamentary elections where the Opposition won that election and which had been recognised by President Nicolas Maduro. In August, US President Donald Trump said he was “not going to rule out” a military response in Venezuela, adding that it was “certainly something that we could pursue”. Reply to "MSJ, JTUM: USA must not meddle"